Gold, winged Optioscopes, gleaming in the sunlight and dressed with a colourful bouquet of flowers. The flower detail can be removed and exchanged for other detail patches. All of our flower patches are illuminated for dusk onwards. 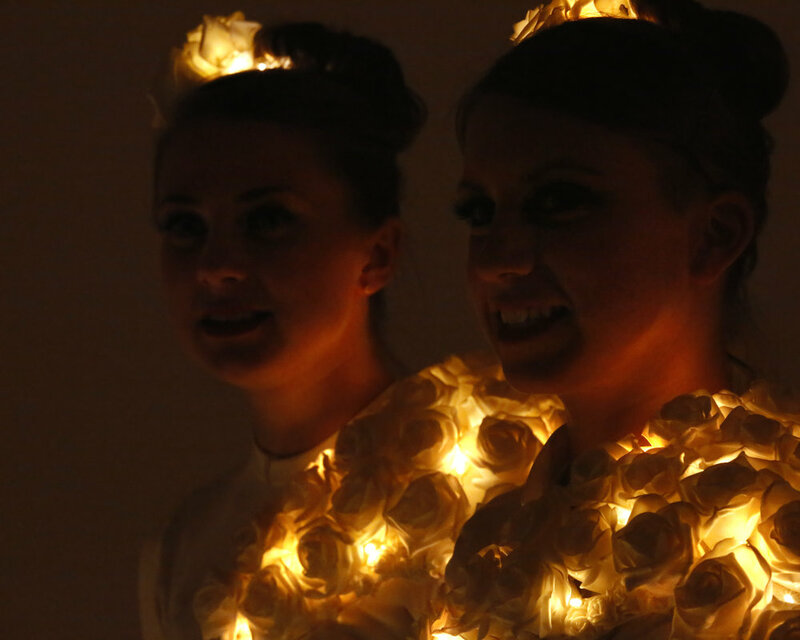 Lights can also be worn underneath the costumes for night-time glow show performance. Optioscopes in stilts are a simply sensational stilt performance; glorious as 'switching on the Christmas lights' entertainment, flawless golden wedding performance, a total sensation for clients seeking to book circus entertainers with lashings of luxe.